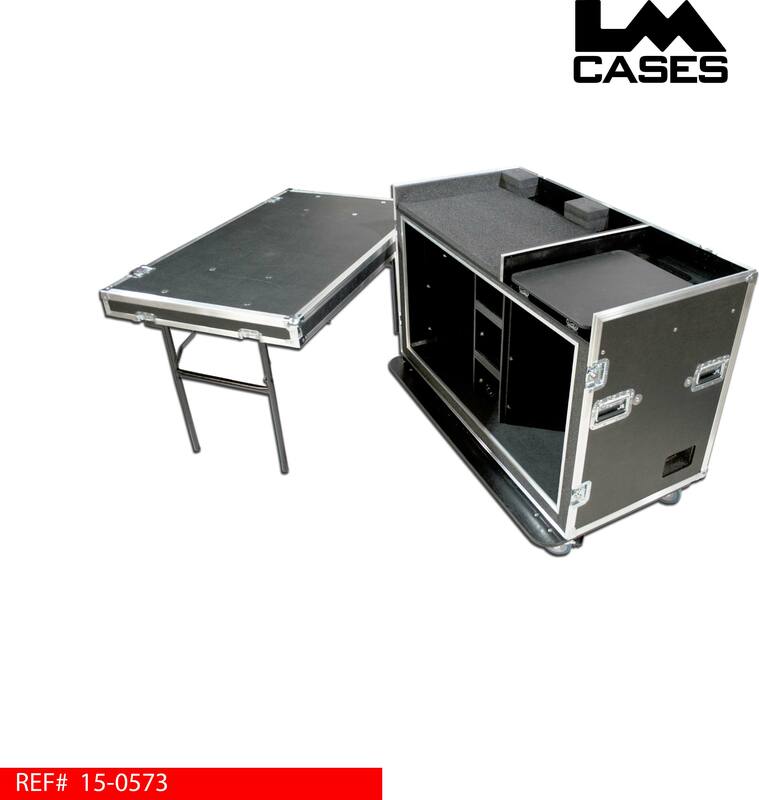 This case was designed to be a portable front of house production workstation centered around a Yamaha QL5 console. 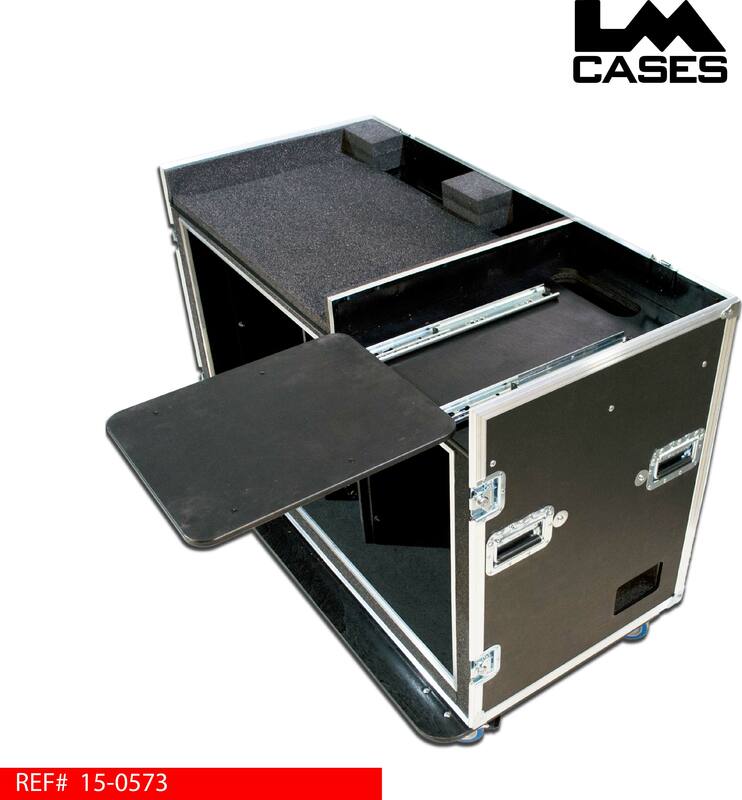 The case holds the console in a custom 1" PE foam lined compartment with space behind the console for cables and connections. To the right of the console, the case features a Formica laminated slide out work surface which is perfect for a stage managers call sheets or as an auxiliary laptop station. 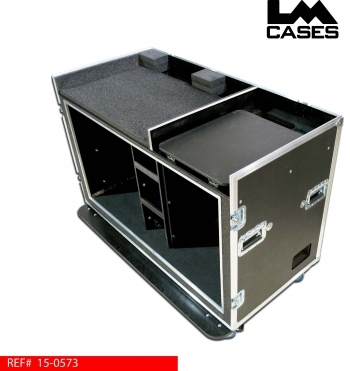 Below the work surface are dual 14RU shock mounted racks that feature a usable rail to rail depth of 24". The racks are separated by 3 shelves providing storage for miscellaneous items. The shelves and rack rail are recessed into the shell allowing users to sit behind the case without kicking rack mounted components. 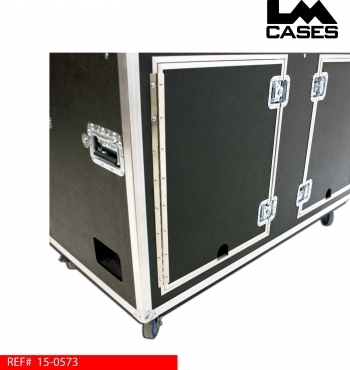 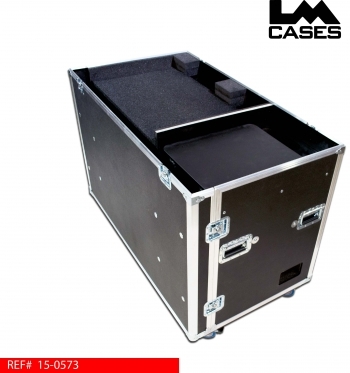 The case features a power inlet box built by the LM Cases Custom Integration Department. The box uses a standard Hubbell inlet and safely routes power to a duplex power outlet. The exterior case is built out of 3/8" plywood laminated with black ABS plastic. 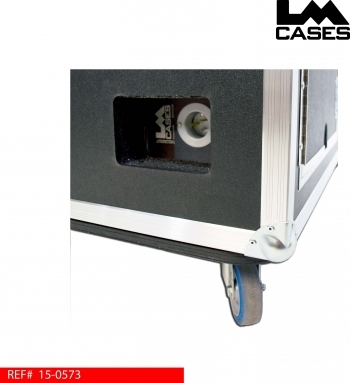 The top and front lids are removable, table legs are mounted in the front lid to provide an extra work surface when needed. 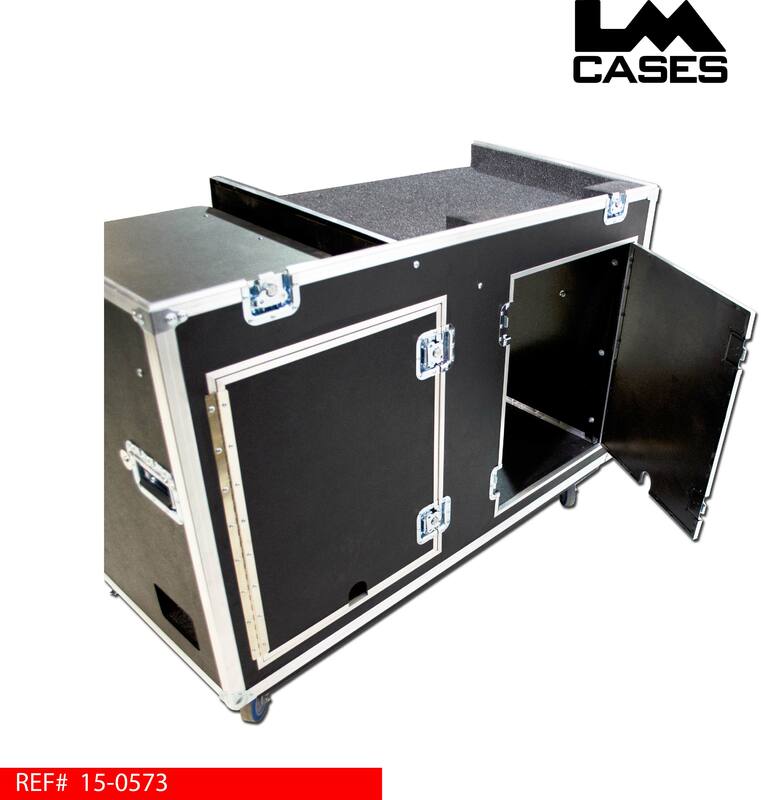 The rear rack sections are accessible via dual trap doors mounted over the back of each rack section. 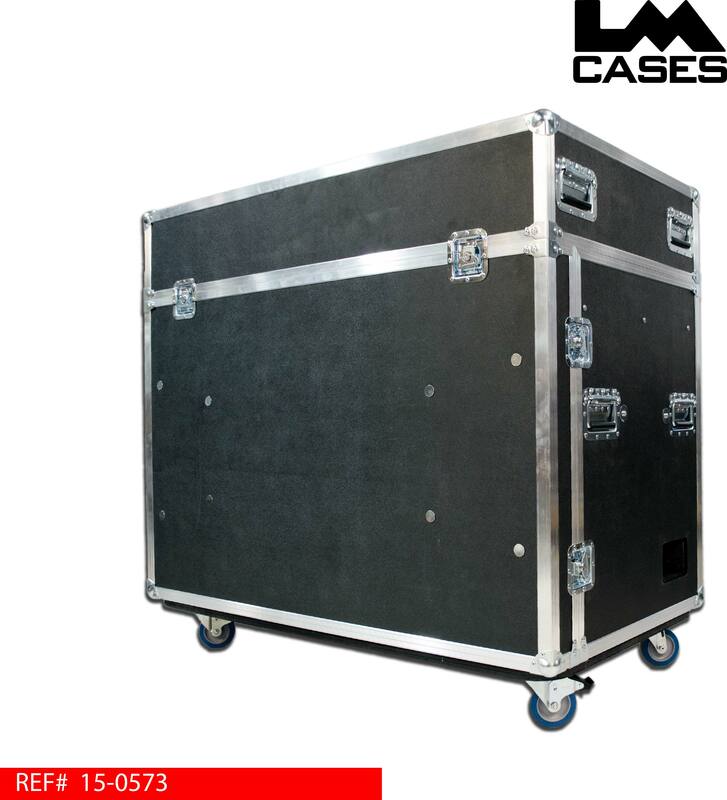 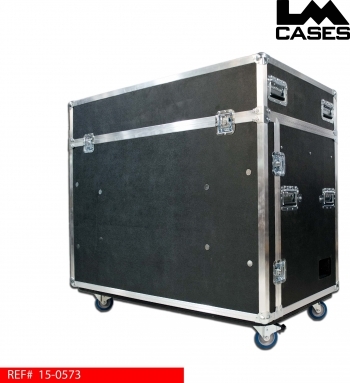 The case rides on Colson 4" Casters and features deep recessed handles.